The South Pacific offers some of the most romantic hideaways, desirable white sand beaches and tropical blue waters. Everything whispers your names in a language of love. When it comes to true love, the adventure of a lifetime and exotic locations, the South Pacific is a world of sensations. The South Pacific has some of the most romantic resorts, islands and beaches for you to indulge, to celebrate, spend time with each other and continue a lifetime of love and unforgettable memories. 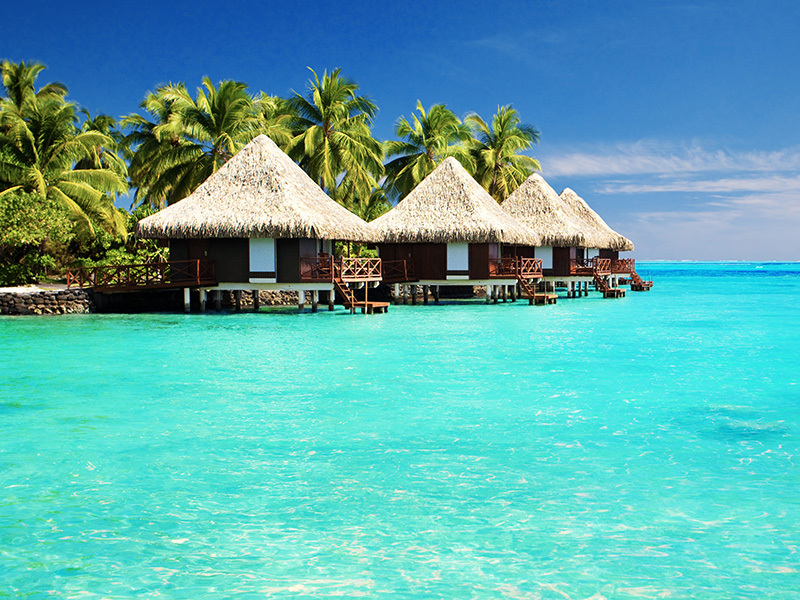 Tahiti and Her Islands are what you’ve always imagined the South Seas to be – an idyllic getaway from the stress of the modern world, resembling heaven more than earth. The palm-fringed beaches of Bora Bora are the perfect launch into the striking coral reefs, abundant with colorful marine life. Moorea’s deep and spectacular bays are surrounded by green-covered mountains that rise from the bottom of the sea, and the panorama from Belvedere Lookout is breathtaking. Tahiti, the largest island, is for the person who wants to try a little of everything that the modern and natural worlds have to offer. Fiji Islands lie at the crossroads of the Pacific. Fiji offers an unrivaled tropical paradise with azure waters, white sandy beaches, coral islets and tropical resorts. Its’ locale makes it the perfect stop to or from Australia and New Zealand. Australia, with some of the most stunning coastline and waters imaginable, exciting adventure, and beautiful city sites, is perfect for the well rounded honeymoon. If you desire pure relaxation, this destination’s amalgamation of choices will have you de-stressed in no time. Australia’s blissful beaches and breathtaking coasts provide the perfect setting to kick back, relax and unwind. Take the opportunity to reignite romance with a leisurely stroll, hand-in-hand through vibrant, colorful orchards, historic towns or glorious gardens. Or, enjoy a spa treatment at a remote luxury island resort where absolutely no one can find you…unless you want them to. Your options for traveling Australia are as diverse as the country itself. Choose the itinerary which best suit your vacation needs, whether you’ve got two weeks or six months to cover your territory. Determine the experience you seek, whether it is coastal, cultural, romantic, adventure, outback, nature, Aboriginal, city, or even a combination of these. After all, Australia’s offerings are as infinite as the imagination, and it is all here, waiting for you to discover. In New Zealand, romance is everywhere. From the beaches, the enchanting forests and the accommodating people, New Zealand’s hotels, lodges and spas will exceed your expectations. This destination is perfect for the bride and groom who enjoy natures beauty and are true romantics at heart.